Construction is expected to begin this summer on the first phase of a 900,000-square-foot industrial park near Phoenix’s Sky Harbor International Airport. 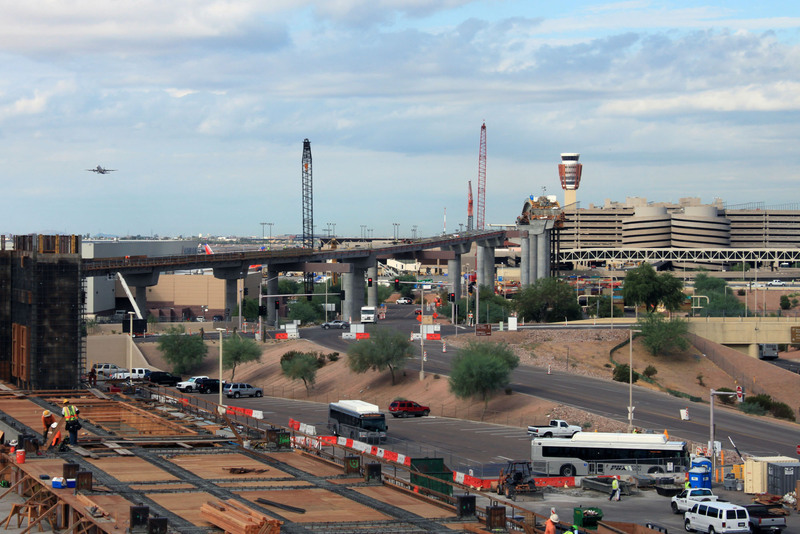 A partnership between Phoenix-based Wentworth Property Co. and New York-based Clarion Partners is developing the $60 million project. The group recently paid $9.3 million for the 60-acre site on the northwest corner of 24th Street and the Salt River, one of the last big parcels that can be developed in the area. The first phase of the yet-to-be named industrial park will include three speculative buildings with 600,000 square feet of space. “The Sky Harbor area is one of the most sought-after, yet most land constrained, industrial markets in Greater Phoenix,” said James Wentworth Jr., a company principal.